Can good machining skills replaced the surface treatment? This is a concerning for every CNC machining manufacturers and consumers. Maybe many people thinks it’s great, because of it not only can keep the parts appearance perfectly, but also save the production time & cost. This will be a win-win situation. 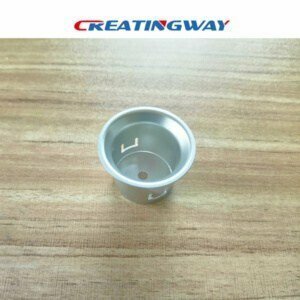 As one professional CNC machining manufacturer, Creatingway has rich experience with enjoy have high evaluation from customer all over worlds. Today, we will take this blog to share with you, Whether one good machining skills really can replaced the surface treatment for CNC machining parts. What is good machining skills? It will mean that you need to look for a good supplier that they have own state-of-the-art machines equipment, good& professional technicians and the skills operators, and have advanced scanning& inspecting instruments etc. At the same time, they can fully use their professional skills to effective communicate with customers at any time, and provide the best suggestions and machining methods to customers for choosing, thus to avoid some not necessary waste and losses in the production processes, and save the production time and costs. Why the surface treatment is very important for CNC machining parts? When machined one part finished, it looks perfectly and smoothly on the surface, whether it will mean that this end. We don’t need to do any extra treatment in order to save the production time and costs. For better maintenance of the parts after production, if you have further considered the real functions and applications of the parts. And how to prevent rust or corrosion issues of the parts before production and packaging, at this time, the surface treatment is crucial to CNC machining parts. The surface treatment of CNC machining part can help to make your custom parts appearance aesthetic and smoothly, and it can be better to protect the surface of the parts and extend the parts lifetime. In conclusion, One good machining skills and state-of-the-art equipment are the basis for you to serve your global customers. Good surface treatment of products are one bridge between manufacturers and customers. As one better manufacturer, you not only need to think about how to machining perfect parts for your customers. At the same time, you also need to consider how to maintain & protect the parts after productions and increase the part lifetime.